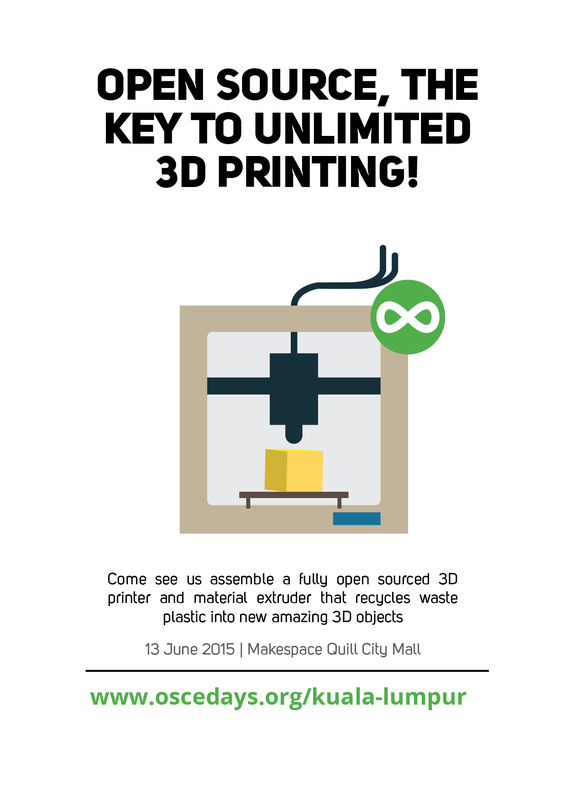 It is has been recently proposed that open source 3D printers could be used to drive sustainable development. For this to become realistic it is critical that feed stocks (plastic filament) be developed from locally-available materials in order to prevent the erosion of cost advantages for local production. Using locally-available materials in Malaysia for fabricating open source appropriate technology (OSAT) not only ensures the community in question will be less dependent on foreign assistance if there are problems with the technology, but it also creates a sense of empowerment as technology is not handed out as a form of charity furthering dependence on foreign aid. This can be accomplished through the use of feedstock created from Malaysian waste products (e.g. plastic bags or bottles) or through the use of available local materials such as bio-polymers. The sheer abundance of plastics in household waste (including bags, bottles, food and entertainment packaging) is a reality in most non-rural communities, but this waste can be reused. A process could be used to create a waste-plastic filament for use in the 3-D printer. Thus a plastic extruder, which could heat the plastics and extrude them as a filament that can be used by the 3-D printer, is necessary. During the festival, makers and builders will collaborate to build a prototype of this machine using sources available online: http://reprap.org/wiki/Recyclebot. Plastics for one of the major challenges?